Drabelle has been a contributing editor at the Washington Post Book World since 1985 (and for full disclosure, one of my own editors there), and in 1996 he earned the National Book Critics Circle’s award for excellence in reviewing. In addition to his regular work for the Post, he has also written for publications including The Atlantic Monthly, GQ, Civilization, American History, and Smithsonian. Contributing to his background on the topic at hand were six years as a lawyer at the U.S. Department of the Interior, in part monitoring the effects of the 1872 Mining Law on national parks and wilderness areas. Drabelle will discuss Mile-High Fever on Wednesday, July 15, at 6:30 p.m. at the Barnes & Noble, 555 12th St. N.W., Washington, D.C., and he’ll also appear in September at the Fall for the Book Festival (which, another disclosure, I also help to promote). On the heels of the interview mentioned above and in advance of those appearances ahead, Drabelle indulged some questions for me below. Art Taylor: This story began as an article for Smithsonian. What brought you to that story in the first place? And then what drew you toward broadening that article into a book? Dennis Drabelle: Actually, the book began as a not-quite article for Smithsonian. They commissioned it, I wrote it, they accepted and paid for it, and then they changed editors. The new one wanted me to cut the piece in half and then might or might use it, and I resisted. Ultimately, they restored the rights to the piece to me and let me keep the money, and I resold the piece to American History, where it was published. The article was on William Stewart, and I found my way to him in a very bookish way. 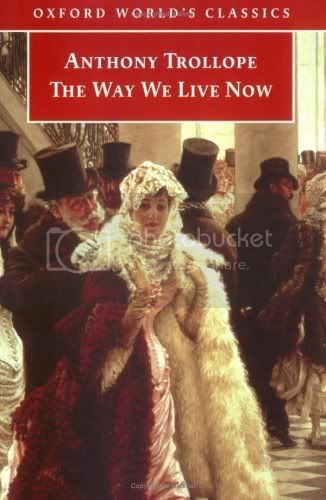 I was reading Anthony Trollope’s The Way We Live Now (which, despite being written by an Englishman and set in Britain, is in my view the best novel of the Gilded Age). [Note: Newsweek thinks it’s the best book about today’s world as well.] In the novel American shysters sail to England and sell wildcat mining and timber stocks to unsuspecting British investors. After I finished the book, I consulted The Penguin Companion to Trollope, which said that this episode was probably based on the Emma mine scandal. I researched that, and found that at the heart of the fraudulence was William Stewart, a U.S. senator from Nevada who first made a name for himself as a go-getter of an attorney on the Comstock Lode. I think you can finish the chain yourself: the story kept getting larger and more interesting as I went along, and eventually I thought there might be a book in the Comstock, especially one that emphasized its ties with San Francisco, where almost all the profits ended up. San Francisco benefitted greatly from the Comstock — whether we’re talking about banking and finance or even the development of the iconic cable car, which relied heavily on technological advancements made in the mines — and in terms of finance, law, industry, architecture, even literature, the Comstock story offers several influential, even foundational developments for the history not just of the West but also of the nation as a whole. And yet throughout the book, I kept having to remind myself that there was a Civil War going on back East, and a difficult Reconstruction in its wake. How does the Comstock story offer an alternate history of a country in transition, an alternate perspective on what formed the U.S. that we know today? And how has the Comstock story been overshadowed by the Civil War? The Comstock was so far removed from the Civil War that its big events were old news by the time they reached Virginia City. But that doesn’t mean there was no connection. Nevada was admitted to the union prematurely in 1864 because the Lincoln administration needed more solid Republican votes in Congress, not to mention the ability to cite the mines’ value in balance sheets when the feds went to Europe looking for credit. And the best thing William Stewart did as a senator was to perfect the language that became the 15th Amendment to the Constitution, which guaranteed (on paper at least) the right of freed slaves to vote. As for the Comstock being overshadowed, yes, I think it has been—but perhaps not so much by the war (which ended when the Lode’s heyday still had 15 years to run), but by the whole phenomenon of the boom-and-bust mining town. They popped up and died all over the West, and one is pretty much the same as the other—except for Virginia City, where indeed you had all these industrial inventions and developments, along with the making of Mark Twain. What stands in your mind as the most positive contribution of the Comstock to the U.S.? Is it industrial advancement? Is it literary, through Twain? Is it that San Francisco cable car? or something else entirely? I do think it is Mark Twain and the demotic kind of writing that revolutionized American prose. As I said at the end of the book, the best you can say about the great mass of humanity that flocked to Virginia City is that on the whole they had a good time while a few voracious entrepreneurs and speculators were hogging the wealth. But the crackling atmosphere of tall tales and applied wit and polyglot language did lead to something rather magnificent. Another follow-up: The Bank Ring, the Bonanza Kings, and the stockbrokers’ schemes — and the disparity between the very rich and the “rest of us” — can’t help to resonate with some headlines in more recent newspapers. How does this tale of boom and bust shed some light on what’s happening today? One lesson is probably not to invest in mining stocks: there are simply too many chances of being hoodwinked. And I don’t want to get on a soapbox, but on the Comstock you can see the beginnings of the unbridled laissez-faire capitalism that has gotten us in trouble so many times in our history. Stewart made sure that the mining laws gave everything to the miners (which meant large corporations, in most cases, not the romantic image of the rugged individualist with a mule and a pick and a grubstake), with no royalties being paid to the federal government even though most of the mines occurred on federal land. Same with the mining stock market — very little regulation by any level of government. The Comstock may be an extreme case, but I think you can there, in embryo, some of the hands-off trends that have culminated in our current economic calamity. Back to the question of writing once more: Even beyond Twain, much of the period writing that you quote throughout the book is often beautiful prose. J. Ross Browne’s article for Harper’s; the great excerpts from Dan De Quille (William Wright); even fire chief Kettle Belly Brown’s words in the closing pages — each offers vivid, often lyrical language. But writing about the journals of Alfred Doten, you comment that “many entries are humdrum… but some lines crackle with the wonder of life.” Was finding good writing from this era more often like panning for gold nuggets, or was there, as with the Comstock Lode, a wealth of literary treasure to be mined? There is amazingly good writing all over the literature of the Comstock. Besides the people you mention—and I totally agree about J. Ross Browne, a fine stylist—there was also Eliot Lord, a fellow who visited Virginia City after the heyday was over and wrote a book-length report under contract with the Geological Survey. Soon, in fact, it was indeed published as a book, Comstock Mining and Miners, and it’s an invaluable source. Among other things, Lord tracked down Bucke, the guy who survived the horrible blizzard that killed the last surviving Grosh brother. Without him, we would not know nearly as much as we do about that tragic episode — and Lord, mind you, was funded by the government. Even Mary McNair Mathews, the keeper of a lodging house, wrote good prose, and her book Ten Years in Nevada is very readable. The conclusion I draw is that before the distractions of electronic media, people paid far more attention to the words they used and the sentences they constructed. The level of superior writing made my research a pleasure from beginning to end. You write early in the book about “the difference between sentimental fiction and callous reality” and toward the end you discuss Virginia City as the inspiration for the TV show Bonanza and as a tourist destination today. To what degree did you find that this story supported many of the expectations/tropes of the Western myth and to what degree did this story resist or refute all that? The reviewer for the Washington Post quite rightly pointed out that I much preferred telling stories of fraud and excessive litigation and heirs trying to break wills over tales of gunslingers shooting it out on the streets of Virginia City. There was some of that, but it was pretty much over by the end of the rush’s first five years, and what, really, does it tell us? Rather than feed the image we already have of derringer-wielding poker players and dancehall floozies, I thought I would follow the money — which, of course, is what brought 15 or 20 thousand people to Nevada in the first place. It’s not so much that the Comstock refutes the Wild West myth as it points out that the myth is a bit shallow: there was a lot more going on in the West than gunfights at high noon. Thanks for sharing this nice article. I get additional info from it. I should say this website has lots of interesting information.